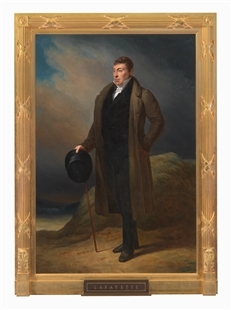 The full-length portrait of the Marquis de Lafayette, the first foreign dignitary to address a Joint Meeting of the Congress in 1824, was presented to the House by French artist Ary Sheffer that year in honor of the occasion. 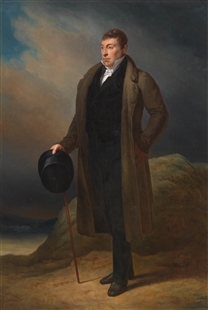 Lafayette, a hero of the American Revolutionary War, was received throughout the United States to great acclaim. 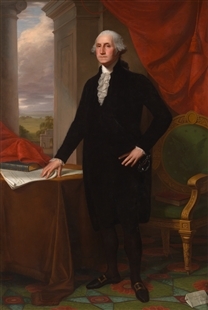 The portrait hangs to the left of the Speaker’s rostrum, as it has since the opening of the current House Chamber.